SAP Global Sales Operations focuses on the successful creation, deployment, and execution of the “Franchise 4 Success” process- and tool-set across all GCO areas and in close alignment with related lines of business. The Services Sales Operations Business Partners work with regional or local Services Sales managers to support business and drive the “Franchise 4 Success” concept. 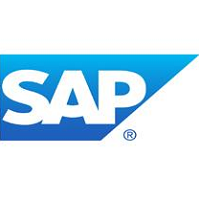 In this position, as Intern of the SAP Sales Operations team, you will directly work with Sales Managers and Sales Executive from the Greater China Region (Mainland China, Taiwan, Hong Kong) and support their daily business, guided by your Sales Operations peers (which are located in Beijing, Taiwan and Hong Kong). You will support day-to-day tasks like supporting the bidding process, contractual process steps or administrative tasks like internal order management. Doing this you will work directly with Sales as well as other departments (Finance, Consulting…). Over time you will be handed over Franchise-related tasks to support our Sales colleagues to run their business better. And extension of your role to also support the License Sales Teams are optional. 6. Knowledge of SAP product is preferable. 7. Good level of English and is preferable.